Proudly serving Rexdale and Weston commercial cleaning needs for over 25 years. For over 25 Years, ServiceMaster Clean of Rexdale/Weston has been providing commercial cleaning services to our loyal customers. We are an industry leader in providing office cleaning solutions and carpet cleaning maintenance to businesses in the Rexdale/Weston area. ServiceMaster Clean serves a wide range of industries in the Rexdale/Weston area including corporate offices, healthcare, technology, manufacturing, retail, hotel, entertainment, and restaurants. Our diverse workforce allows us to service locations from 1,000 square feet to over 100,000 square feet on a nightly basis. Our team of dedicated technicians have extensive ServiceMaster training and are experienced in all cleaning and restoration procedures. We are available 24 hours a day, 7 days a week for your commercial carpet cleaning, upholstery cleaning and specialty office cleaning requirements. 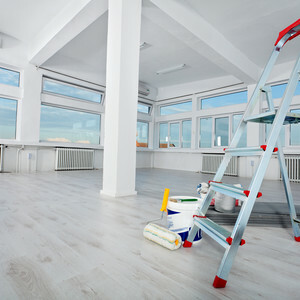 Whether you require a one time clean or on-going maintenance for commercial carpet cleaning, office furniture cleaning, hard surface floor cleaning or post construction cleaning services, ServiceMaster Clean of Rexdale/Weston is here to help. As a customer of ServiceMaster Clean of Rexdale/Weston, you can expect to receive professional service and consultation for all of your commercial cleaning project needs.